In the past year, Altmetric has tracked over 17 million mentions of 2.7 million different research outputs. These are the top 100 most-discussed journal articles of 2016. Mass spectrometry (MS) is an essential part of the cell biologist’s proteomics toolkit, allowing analyses at molecular and system-wide scales. However, proteomics still lag behind genomics in popularity and ease of use. As we look back on 2016, it is clear it has been a highly productive year, where we have had many interesting articles published in BMC Genomics. Here we have selected three highlighted articles to celebrate the year. The National Institutes of Health needs to make radical changes to ensure that biomedical research continues to thrive in the United States. Here at Biology in 3D, we often talk about the aesthetic side of structural biology and the power of structural images to inspire both artists and scientists. In the last Structure issue of 2016, we published a Letter to Editor by Shuguang Yuan, H.C. Stephen Chan, Slawomir Filipek, and Horst Vogel that emphasizes the importance of user-friendly structural biology data visualization strategies. 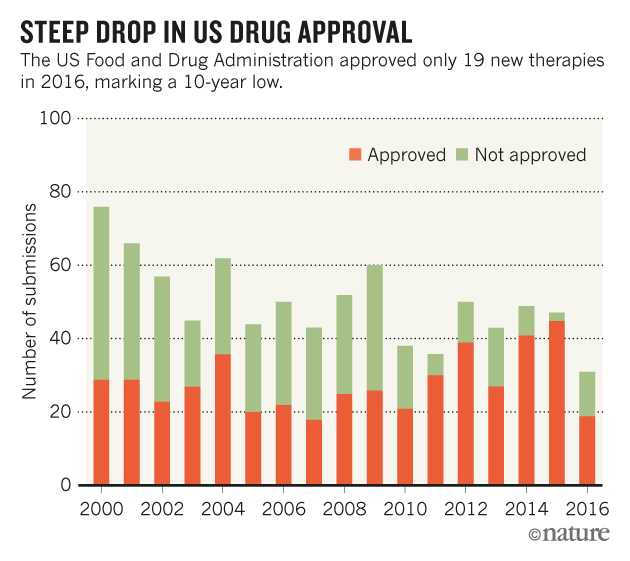 US drug approvals are on track to drop by more than half in 2016 compared to 2015, according to a 14 December presentation by the US Food and Drug Administration (FDA). Dominique Morneau of Genome Biology highlights some of the editors’ favorite articles from the past year, including those that were highly accessed, shared, liked and discussed. The Parker Institute for Cancer Immunotherapy in San Francisco, California, and the Cancer Research Institute of New York City announced the algorithmic battle on 1 December. It is part of a multimillion-dollar joint project to solve a major puzzle in the nascent field of cancer immunotherapy: which of a patient’s sometimes hundreds of cancer mutations could serve as a call-to-arms for their immune system to attack their tumours. The 10th anniversary ‘Genomics of Common Diseases’ meeting was held in Baltimore, September 25-28, 2016. Professor Chris Haley reports from the meeting on progress and challenges in the field.